In today’s time, trends are always changing. In one day-out the next. Some trends are born new, some come due to a need of change and others simply because of changing times. We, along with many others, don’t know why trends change, but we can all agree that they do. Mintel, a leading market intelligence agency, published a list of trends set to impact the packaging industry over the next couple of year and below we list the top Trends. Consumers nowadays are more conscious of the environment and want to help by purchasing products that are packaged using biodegradable packaging while also looking professional and well designed. People want to live a low waste lifestyle. “Aiming for packaging designs that enlighten consumers’ purchase decision, brands will reject approaches that offer too much or too little as they can leave shoppers more confused that informed.” The challenge is to find the perfect medium between not enough and just enough information needed. Declining interest in packaging has created a trend in packaging design. Younger shoppers look at the packaging and decide based on what they see. Think about what type, shape or color packaging sticks out from the crowd; anything that will draw people to your product. Leader Box Corp. is a green company whose goal is to ensure others that they will benefit from buying and selling used boxes and will help the environment in doing so. We believe that sustainability is key! The more people that buy and sell used cardboard boxes or re-use boxes will prevent trees from being cut down. 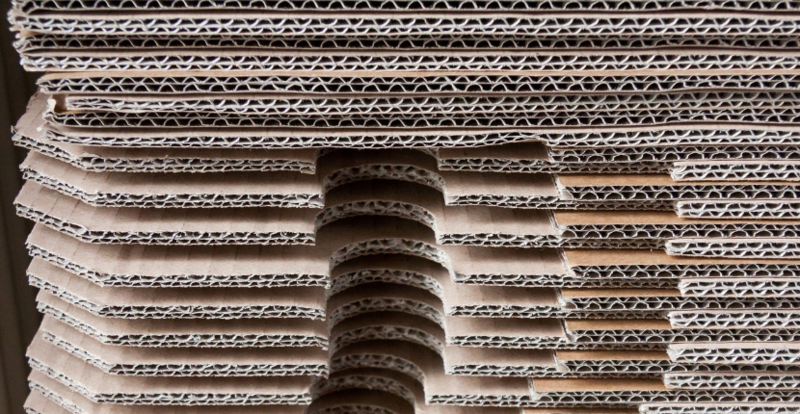 If you or your business is looking for corrugated boxes near Chicago, check out Leader Box Corp. For more information on cardboard, its uses, and how to recycle it, visit Leader Box today!